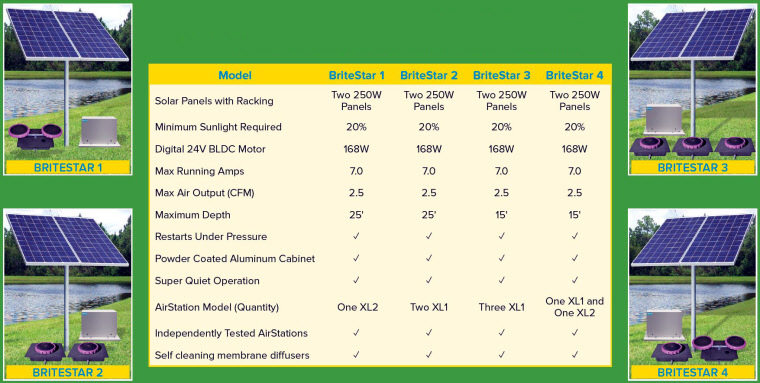 Solar direct aeration systems are less complicated than battery systems and therefore less expensive. The solar direct systems will only operate when there is light or sun hitting the panels so operation during winter is reduced but for a general purpose solar aeration system this complete package provides great valie. 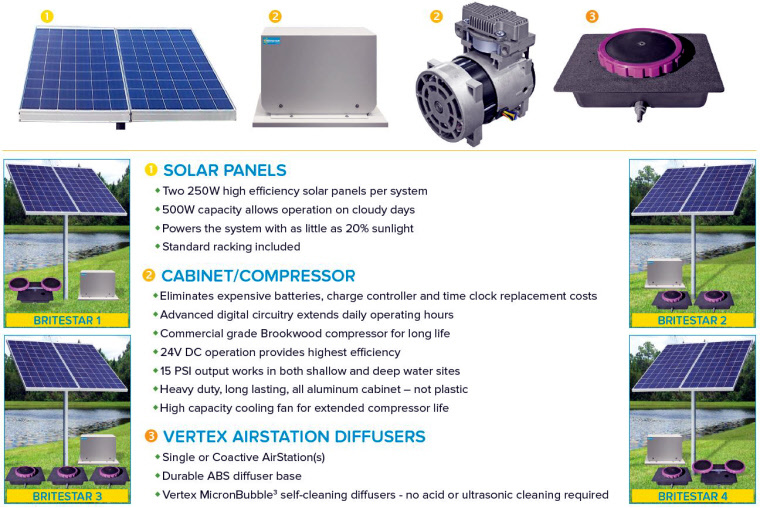 Vertex’s new lines of affordable, battery-free, high efficiency solar aerators are an environmentally and financially responsible solution for your pond or lake aeration needs. Their economical break-through solar technology provides more aeration at both a lower purchase price and lower long term maintenance cost than battery operated systems. By running earlier in the day and longer into early evening, BriteStar aeration systems provide ample night time dissolved oxygen to the aquatic ecosystem while offering a turnkey solution that saves you expensive battery purchase and replacement costs, monthly electrical costs, electrical power installations and long airline tubing runs. No Batteries - System runs only when it is bright or sunny outside. The included extra solar panel allows direct solar operation even on cloudy days. 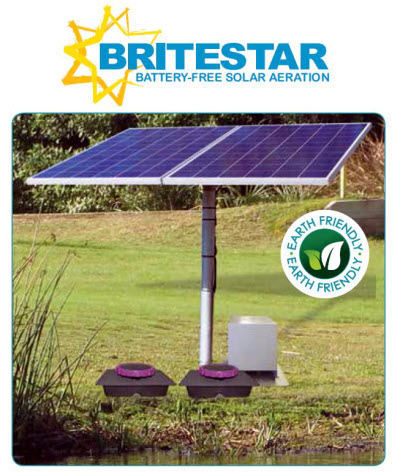 All BrightStar battery-free aeration systems are designed and custom configured by the specialists at Vertex Water Features and serviced by a worldwide network of lake management professionals. 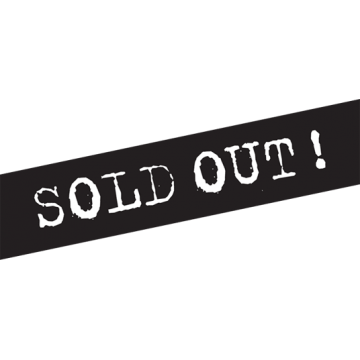 Includes, panels with brackets, compressor, DC power controller and diffusers. Airline to run from compressors to the two diffusers and the ponel to support the panels is not included. Use a 3" steel pole.